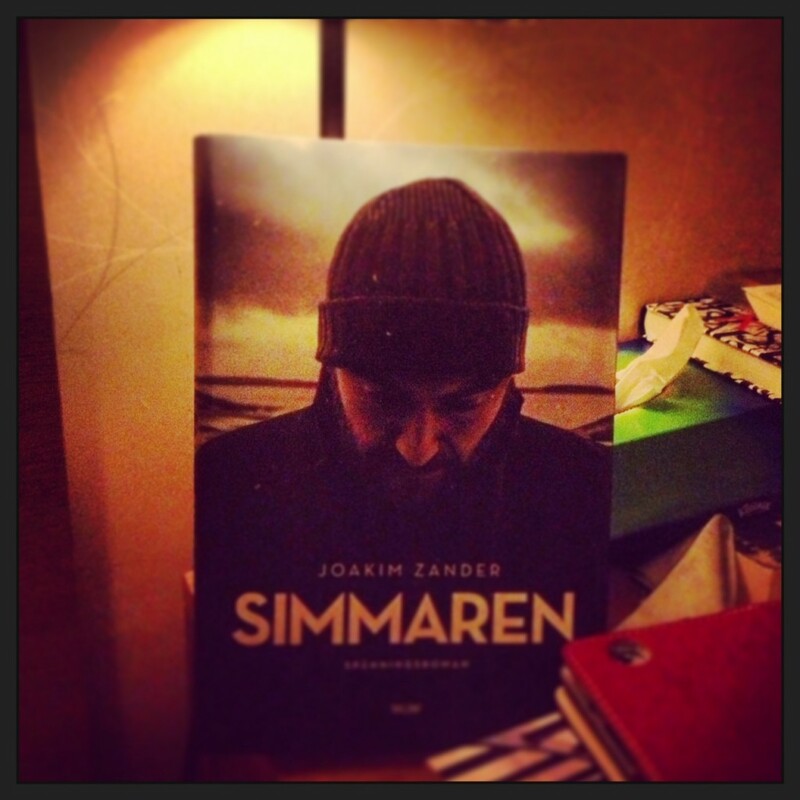 Joakim Zander’s debut book “The Swimmer” (direct translation) was recently published in Sweden. Joakim is currently working as a lawyer for the EU in Finland. He has also lived in Brussels and Sweden, Syria and Israel during his childhood. An American agent in Damascus abandons his newborn daughter in the early 1980s, after an operation goes wrong. 30 years later, Mahmoud Shammosh, a Swedish researcher of war crimes, comes in contact with a person who says he has classified information and that various interests are prepared to do anything to prevent this information from coming out. When he realizes that he is a hunted man, he turns to his old love Klara Walldén, now working as a European lawyer in Brussels. Together they must find the information that is hidden somewhere in Europe while running from they deadly agents that are chasing them. The story culminates in a showdown where the American agent finally must stop running from his past. This is a very classical action thriller à la Harrison Ford – The Fugitive. Ordinary and innocent people are put in a situation where they suddenly are accused of different things. Their only hope is to escape while finding out the truth to exonerate themselves. This book also contains some trends that are typical for this decade. 1. The main characters are Swedish but parts of the book takes place in an international context. This feels believable probably because of the author’s background and profession that has given him insights into life and work in the EU, the Middle East and law. Thomas Engström, another Swedish author who recently came out with his book “West of freedom” went a step further and placed the story in Germany with a German main character. 2. The book could easily be converted into a movie. Like so many other writers today, the book is written very “scenic”. Here are scenes from a Swedish winter (exotic) and stormy archipelago. Imagine panoramic windows high up in an office building. A man in an expensive suit overlooking Brussels with power lustful gaze. A woman running among the crowd at a train station with agents chasing her, torture scenes, American agents who meet rebels in a rocky and barren Afghanistan, etc. 3. Putting flashbacks from the past is not exactly a new trend. It became big back in the early 2000s (at least in Swedish). Here we alternate between the present and the 1980’s that slowly but surely leads to the present. This is an effective way to build up tension. 4. Bisexuality is certainly nothing new but it has, so far, been rather unusual with characters who are not heterosexual. Zander gives several political points. Among other things, greedy lobbyists and careerists in Brussels, the “surveillance society” and especially American dealings in the Middle East. It is a very tired and disillusioned agent who tells of an intelligence service that has completely lost its moral compass. The book is well written and has characters that are well constructed and interesting. It has just right the right amount of action and life in EU-Brussels feels believable. There are a few surprises along the way which I very much appreciate. One small thing bothered me. Teenage girl Blitzie has posters with Notorious BIG and Tupac on the walls together with graffiti and marijuana leafs, but that feels so much like the 1990s and not 2013. Finally, I wish that the end had been a little less expected. However, I think this could become an international hit, and I would not be at all surprised if it eventually is made in to a movie (also a trend).